Listen as you read. This version is from Grace by David Tolk. 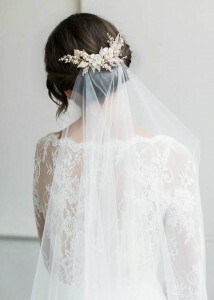 When I read the word veil the first thing that comes to mind for me is a bridal veil. This is not what the hymn is referencing, but it does introduce a whole different set of images. Veils are meant to cover something up or keep something hidden, even if not entirely, and that is exactly what we are going to think about here. In the simplest, most direct sense, the veil referenced here is an allusion to the fact that we can not clearly see the amazing reality of heaven, and all that will be ours in that blessed reality. The truth described here is the hope we have in eternal life, even when this life ends. Using the phrase “within the veil” conjures up a few other rich images though that are in some ways connected. Jesus has made Heaven available to us through His sacrifice. Even though it is our inheritance, we do not yet possess it. When was the last time you spent a few minutes and simply thought about eternity. 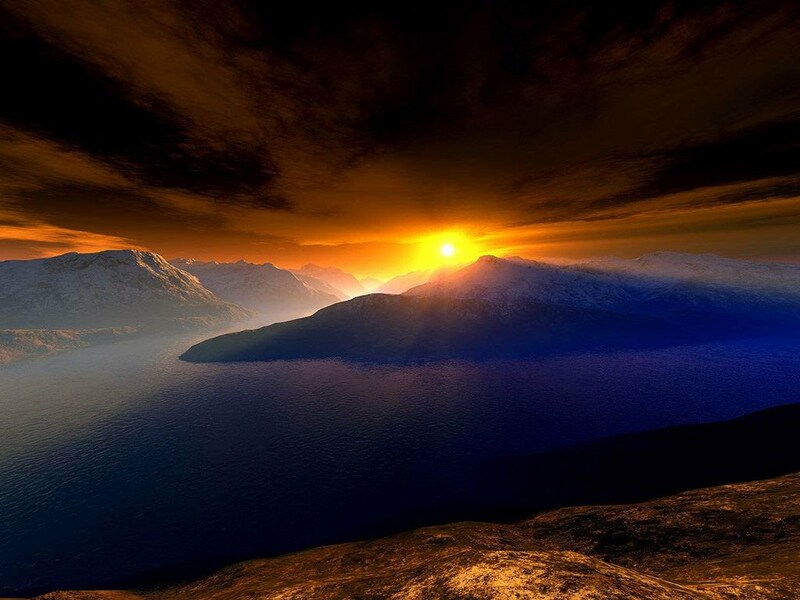 Images like this sunset mountain scene stir up within me a longing for more than this life affords. There is a sense of expectancy and hope within the misty mysteries of forever. Think for a moment about the two pictures the hymn writer has so skillfully juxtaposed. Heart and flesh failing, joy and peace unveiling. When my heart fails me, then I shall know that joy that I only tasted of in this life. When my flesh ceases its strivings, then shall I finally find peace. How often we pray for broken hearts to be mended and fatigued flesh to find new strength, and rightfully so, but fail to thank God for the reminders these faltering blessings usher in to our existence on this side of the veil. Maybe better than faltering, the word incomplete might suffice. Heart and flesh are blessings, but they are incomplete in that they point us to a better, greater blessing. Which brings us to another veil. The Old Testament sacrificial system pointed us to a better, greater blessing as well. 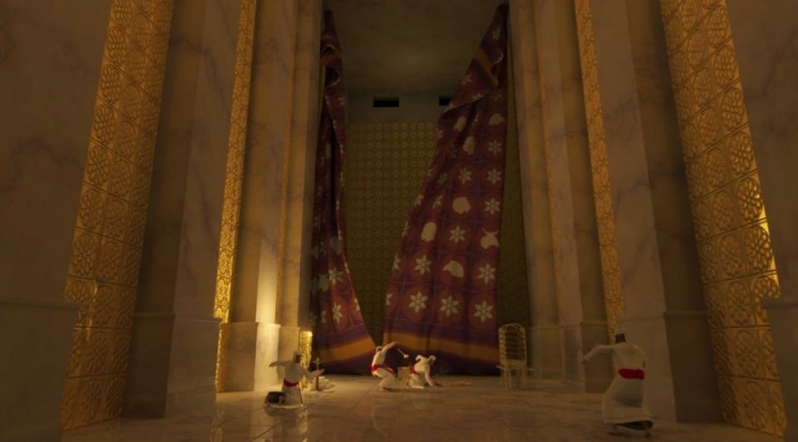 As a part of the system the High Priest would enter the Most Holy Place, by the blood of goats and calves, to atone for the sins of the people once a year. The veil of the temple kept the Most Holy Place beyond view. When Jesus died that veil was torn in two from top to bottom. As opposed to endless sacrifices, Jesus died once for all and entered the Most Holy Place, by His own blood, to make atonement. 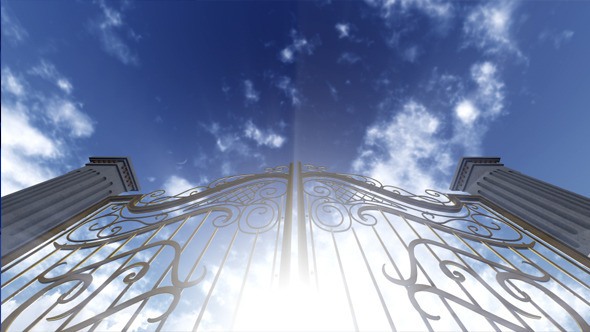 [Hebrews 9:12] That veil would not longer block entrance to the Most Holy Place. It was a representation of what Jesus actually accomplished, but we are waiting to behold. 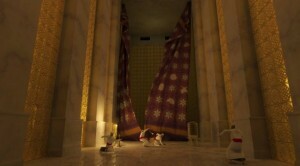 The veil of the Temple, Heaven, and bridal veils are all connected. Here’s how. We can not see into Heaven, any more than the priests could see into the Most Holy Place. The groom can not clearly see his bride while her veil is down. The Church is the Bride of Christ, and she is getting ready to meet her Bridegroom. That will take place in Heaven, and the access to Heaven was granted by Jesus sacrifice. Think about how all this rich symbolism ands context and texture to these wonderful truths through things we know and see, pointing to things we believe which are veiled. There are definitely some really cool things to think about. Take a few minutes and ask the Holy Spirit to help you to wrap you mind around the incredible treasure that is waiting for you, within the veil. Jesus, thank You for giving me access to pass through the veil when my time comes. Give me courage to face that day with the hope that what I have longed for will be realized. Cause me to long for it now so that realization will be even sweeter. Help me love You with all my mind as I wait! In Jesus name. Amen. Think about it. As long as life endures, in other words, throughout my earthly existence. I would agree that the Lord is far more than just Shield and Portion for far longer than the dash that is this life, but we will take that up at another time, Lord willing. For these thoughts, let’s center in on what the Lord keeps away from me, and what He brings to me, all for His glory and my good. Psalm 28:7 says it this way. He keeps things away from me. Another way of saying it, He keeps me from getting things that would harm me. He is my Shield. 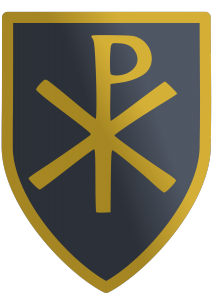 The Chi Rho shield above, reminds us that Christ is that Shield, those two letters representing the first two letters from the Greek spelling of Christ. [If you are intrigued and need more on that, you may indulge your curiosity here.] Jesus is the One who protects me. He keeps many things that would harm me from ever getting close enough to do damage, even though I flirt with them at times. Psalm73:26 says it like this. He provides me with things that will help me. Another way of saying it, He is everything I need. He is my portion. This one seems either a little less straightforward than the other, or maybe just a little more complex. Saying God is my Shield has a singular focus. Saying He is my Portion has more protracted implications. There are several primary nuances of such a claim, and here is the short list. 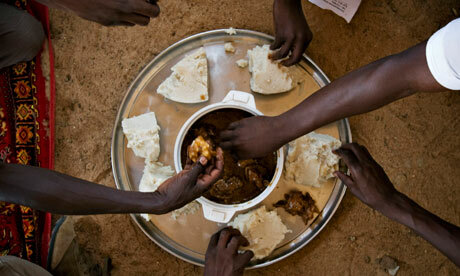 The first, and most obvious one seems to be connected with this idea of one’s share in a meal. Think family style like the photo above. I do not have to jostle and fight for my share. God is my share. I can be at rest and enjoy all that He has provided for me. 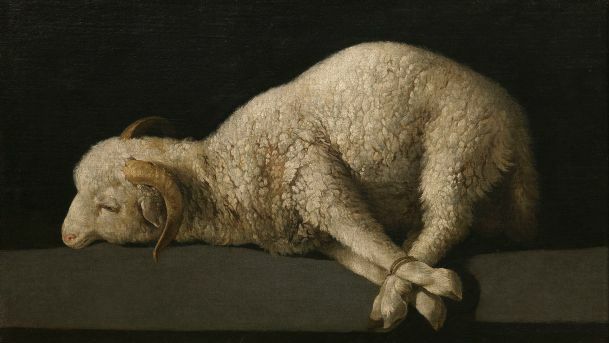 The next is a little less obvious as it pertains to the part of a sacrifice that would belong to the worshipper. The priest would get a certain portion, as would the Lord to whom the offering was made, but the worshipper would receive a portion of most offerings as well. Again, God is my portion. soldier gets to take some of the plunder as their reward for winning, or their prize for still being alive. 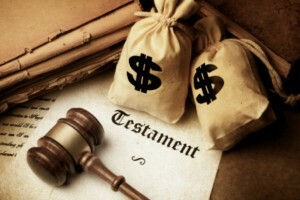 When the battle of this life is over, God will certainly be our plunder, the proceeds of having lived victoriously. This last one really resonates with me because of the lasting implication. I might eat my meal, enjoy my sacrifice or plunder and then it’s gone, but inheritance seems at least a bit more permanent. Not only that, but it is generally something entrusted to someone based on relationship. I like the connotation of that. One of the things that struck me about these two passages was one of the words they have in common, Strength. The interesting thing to me is that a Shield protects strength and a Portion fuels it. Both are related to strength, only in different ways. I need strength to live this life, and that strength is God, and comes from God. How’s strong is your spirit? Are you allowing God to protect you, or are you trying to do it all yourself? Are you seeking God to provide for you, or are you attempt to stir up your own provisions? Honestly ask yourself these questions and let the Holy Spirit reveal the answers to you. It will be worth the time and effort. Jesus, thank You for being my Shield and Portion. As one songwriter said, “All of You is more than enough for all of me.” Help me to live that statement out, even as I come to understand it better everyday. In Jesus name. Amen. On My Way Home. Thanks Grace. Listen as you read. This version is from Sacred Piano by Paul Cardall. When you first look at that image, what comes to mind? For me, it was something like, “How am I going to get through that?” This reveals that fact that my default perspective is that these traps are in front of me, causing my road ahead to be a very treacherous one. And while that may indeed be true, I want to welcome you instead to imagine that instead of traps like these filling the path ahead of you, imagine instead that this is your view if you look back. Have you wrapped your mind around that yet? There is a very real sense in which that is indeed the case. My initial thoughts about Grace bringing me safe thus far centered around the idea that I was aware of many of the traps in my way, but thanks to Grace I was able to avoid them. In other words, Grace showed me the safe path through the traps by revealing them and the way to pass through them unharmed. Again, while I am sure that is true of some of the traps I have avoided, it occurred to me that sometimes simply walking in Grace enabled me to avoid them, even when I did not see them. Truthfully, not seeing them at all may have actually been the most gracious thing that Grace did for me. 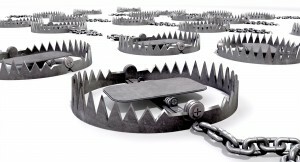 See, if there are traps in my past and/or my future, one thing is certain, someone set them. And that someone set them for a reason, to ensnare me. That someone knows the ways I travel, my well worn paths, and has put those traps in just the right places to catch me. But Someone else knows my paths as well, and leads me safely along them, even encouraging detours at times, some of which I am very unhappy with at the moment, but often later realize were wise departures. Think about it. What traps has Grace led you through, around, over? You are certainly aware of some. Thank Him. You are however not aware of them all. For the ones He led you through that you never even knew about, Thank Him. So we should draw some marvelous encouragement from this simple fact. The knowledge of the traps behind, coupled with the reality that I have made it through them, gives me great courage to carefully tread on the path Grace marks out ahead, knowing that His leading is good. And just where is He leading me? He is leading me home. To that place He has prepared for me. Jesus said in John 14:4, “You know the way to the place where I am going.” [John 14:1-4] That is good news. He makes it clear a few verses later, “I am the Way…” So we need to make certain we stay on the way, or the Way, if we want to arrive at the place He has been preparing for us. And just how do we do that? By living with the end in mind. If Heaven is my home, then I should live like I believe that. I do not mean being “So heavenly-minded that you are no earthly good.” On the contrary, it should be your heavenly-mindedness that makes you good for the earth, and the people who share your little part of it. The knowledge that you have eternal peace with God should be reflected in your temporal decisions and actions. We believe the Bible teaches that we when we stand before God we will have to give an account for all we have done in this life. [Romans 14:12, Revelation 20:11-15] We also believe Jesus’ righteousness will be credited to us. [Romans 3:21-24] Amazing Grace! Think about it. Do a little self-assessment. If you were to pass through the gates today, would those who shared this life with you be surprised you made or not? I do not mean surprised you earned it, because you never could, but would they be able to say that you had lived out your debt of love to Jesus with grace? If you have any reason to believe they might not, change your course today. What adjustments do you need to make to demonstrate you are walking through the traps of life with grace, with Your eyes on the place He is preparing for you even now? Jesus, thank You for being the Way, and helping me to walk in it everyday. Forgive me for the times I go my own way, and headstrong hurl myself at dangers You could help me avoid. Fill my life with Your grace so those around me can see you clearly, and can find there way with me to my heavenly home. In Jesus name. Amen. Are these thoughts helping you to develop greater spiritual awareness? Subscribe to get updates of new tools to help you be Resonant. Below is content available only to Subscribers. Want to learn more about accessing all the additional material in the Subscriber Content Library, click here. So I ask you to consider if grace had lost any of it’s preciousness since you first saw it. If it has, do not feel badly. This happens to each of us to some degree because frankly, we are not obsessed with grace like Gollum was obsessed with his ring. 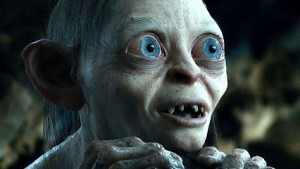 Gollum is a character from J.R.R. 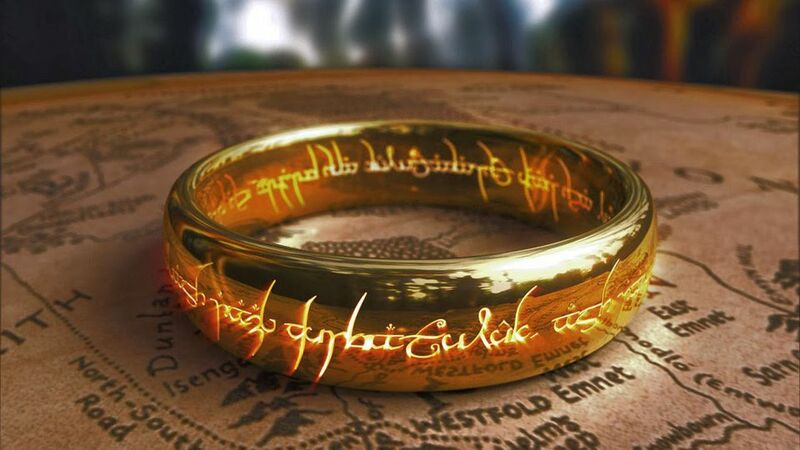 Tolkien’s The Lord of the Rings who finds a magical Ring which transforms his life. Part of the transformation is that it extends his life long past natural limits, which is the upside. The down side is that centuries of the Rings’ influence twists Gollum’s body and mind until he has a curious love-hate relationship with the Ring he refers to as “My Precious”. 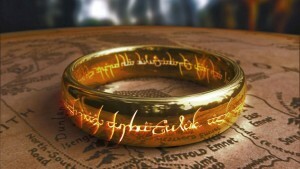 There are some interesting parallels to consider between Gollum and his Ring and us and grace. The main difference is that they are essentially opposites of each other with the ring destroying Gollum while grace saves us. As I reflected on the words of this stanza, I was struck by the writer’s preoccupation with grace, evidenced by the use of it three times, once in each of the first three lines. Gollum is preoccupied as well, but obviously not in the same way. His fixation on the Ring might just be instructive for us when we think about the transformative power of grace in our lives, both body and mind. You see, grace changes our lives. Part of that transformation is that it extends our lives long past natural limits, spiritually speaking, since eternity is a really long time. The influence of grace twists our bodies and minds into what becomes for many of us a love-hate relationship. We are thankful for the transforming power of grace, but it’s presence illuminates the struggle between good and evil that exists within each of us who have tasted it. I think Paul put it best when he said this in Romans 7:18-19, “1For I know that good itself does not dwell in me, that is, in my sinful nature. For I have the desire to do what is good, but I cannot carry it out. For I do not do the good I want to do, but the evil I do not want to do—this I keep on doing.” This is part of a larger passage which illustrates this struggle. See Romans 7:14-24. We love grace, but we hate what it shows us about ourselves. Embrace the grace of God in your life again today and the power it provides not only to deliver you from your fears, but from your vices as well. Take a few moments and think about what grace has revealed to you that needs transformation. This exercise will help you begin the process of restoring a proper view of grace as precious. Interesting word, “precious”. It is what brought Gollum to mind in the first place since this is not really a commonly used word today. When something is highly esteemed for some spiritual, nonmaterial, or moral quality it is said to be precious. That said, what could be more precious than grace? It becomes for us, like Gollum’s ring, the one gift that rules them all. Grace essentially is getting what you do not deserve. The Ring basically transforms Gollum into the worst imaginable version of himself, whereas grace does the opposite for us by making us the best version of ourselves. So I guess the question that is haunting me is how can we become as obsessed with grace as Gollum was with his ring so that it can have the equal and opposite effect of transforming us? Is the secret in the fixation alone? Using grace in three out of every four texts we send, or Facebook/Instagram posts? What better thing to trust in than the unmerited favor of God made accessible to us through the finished wok of Christ on the cross? Allow your mind to rest on God and His grace. Take a few moments now to ask Him to restore your view of His grace to what it was when you were first overwhelmed by it. Holy Spirit, remind me today of just how precious grace is. Take me back to those first moments when I surrendered to Your grace. Usher in the peace that comes when my mind is resting on you. Help my thoughts routinely return to a sense of wonder and awe that can transform my life. In Jesus name. Amen. Like what you finding here? Fill out the form to the right to get updates of new tools to help you be Resonant. Not to mention, wretched. Oh how soon we forget. Or at least try to, but why? I do however remember the time I was in Kansas City. Lost in Kansas City. And it was in that era before you had a bevy of digital maps in your pocket. You know how it goes, made a wrong turn, ended up miles from where I meant to be long before I even realized it. It’s dark, and I was in an unfamiliar place with no real prospects for finding my way. My fellow travelers began to get visibly concerned. I quietly reassured them with a confidence that was frankly incongruous with the concern my face undoubtedly revealed. What is it about admitting we are lost that is so difficult? What is it about admitting we can not see ourselves or our situation for what it really is? What is it that enables us to forget, even after learning it is indeed the case, that we are in a really bad way, with no hope of correcting the situation? What is it? Simply put, PRIDE. It is the sweet sound of grace that allows us to hear these two tunes clearly, and not just at the start, but all along the journey. Grace is getting what we do not deserve. Grace allows us to realize how lost we are, and that there is a way out. Grace enables us to identify our inability to see things clearly if at all, and then restores our sight. Grace empowers us to stop trusting in ourselves, and shows us the One we can. 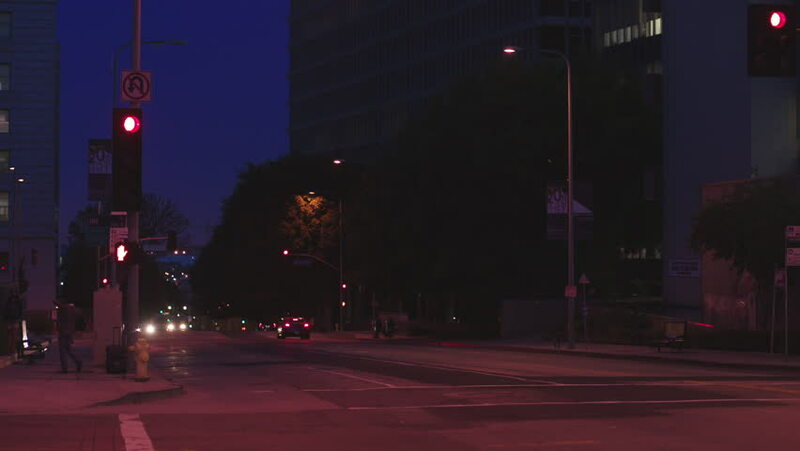 I remember praying as I drove those dimly lit Kansas City streets, “God, show me a way out of here.” It was not long after that we came around a corner and there in the distance I saw an overpass. It was my way out of the scary scenario I had fallen into, and was trying not to admit. How often God provides the clarity to see our situation and a way out, and we fail to acknowledge it? 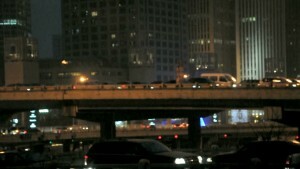 What in your life is causing you to look for an overpass? Are you willing to ask God for it today? He is gracious, and wants to show you that again today if you will only ask. Take a few moments and honestly answer those questions. Those answers may be the very things that will help you get moving on your journey to be resonant, echoing the reality of Christ in your life again today. Or maybe for the first time. Jesus, thank You for helping me to hear the sweet sound of grace. I want to align my life with it again today. Help me hear the still, small voice of Your Spirit instructing me where to go so I can find a greater place of resonance with You. Free Members and Subscribers, enjoy the podcast below! Want to know more about these membership levels? Click their respective libraries above.